Welcome to the Spruce Peak Village Wifi! 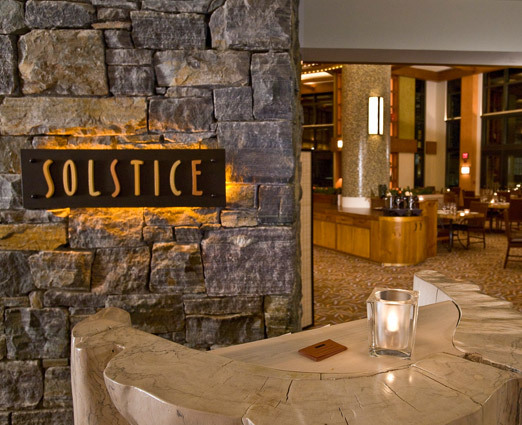 Wake up with a gourmet hot breakfast, or treat your family to a classic and refined candlelit dinner at the Lodge’s signature restaurant, Solstice. With a focus on local flavors and exceptionally fresh ingredients, this upscale, yet casual, restaurant has something for everyone. For an extra special experience, inquire about reserving our Chef’s Table, for a personalized omakase style dining experience at the best seats in the house. Featuring a variety of regional microbrews on tap, signature cocktails and wines by the glass, Hourglass offers a sophisticated environment with laid-back appeal. The ideal spot for inspired pub fare, mixing the creative and the traditional for a uniquely authentic mountainside experience. 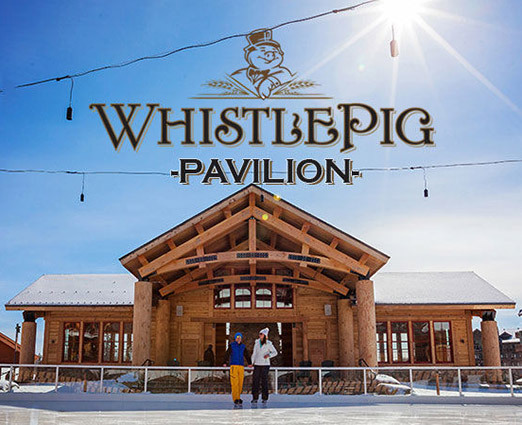 Spruce Peak Village Center Experience the best après venue in the East – featuring Vermont craft beer, WhistlePig inspired cocktails, fire-baked raclette, warm cider donuts, and a uniquely Vermont place for guests, owners and members to come together. Live Music and complimentary toast & a treat every Saturday! 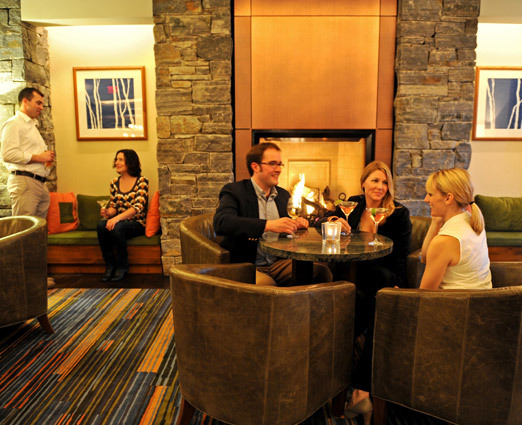 During the winter season stop by the Upper Lobby of the Lodge for a range of gourmet pop-up stations every weekend. 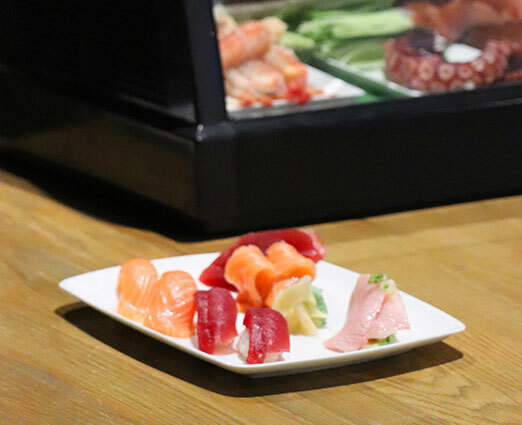 Featuring made-to-order sushi, fresh raw bar seafood, hot chocolate bar, and more, the Upper Lobby is the place to be for an elevated quick-dining experience. 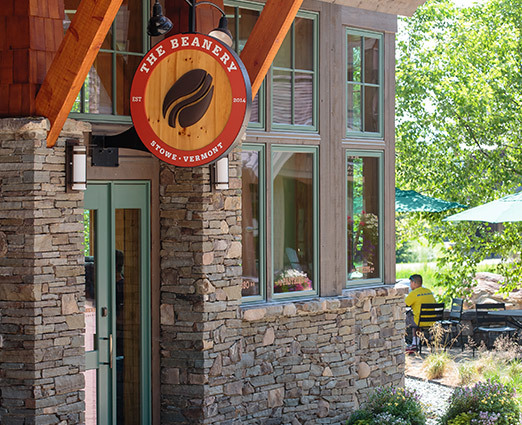 Perfect for a hot breakfast on the go, or a relaxing cup of hot chocolate after a day on the slopes, The Beanery welcomes guests with a warm environment adjacent to The Pantry. Our Baristas craft an array of hot and iced espresso drinks, blended-to-order smoothies, teas from Rishi Teas, handmade pastries, baked goods, and cafe sandwiches. Continually focused on sourcing local ingredients from the surrounding area, our coffee beans are small-batch roasted in Burlington, Vermont by Brio Coffeeworks and all of the dairy products are brought daily from Mansfield Dairy, located right here in Stowe. The warm, welcoming environment makes for an ideal place to enjoy a fresh cup of coffee, tea, hot chocolate or many heart healthy culinary goods that will brighten your day. 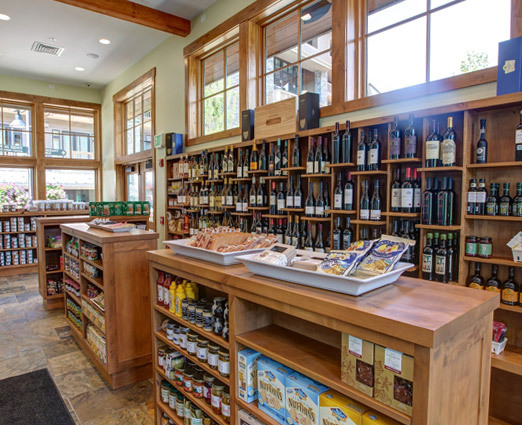 Conveniently located in Spruce Peak Village, The Pantry offers a variety of artisan foods, local products and ingredients, and an impressive selection of wine and beer. Guests can shop for all their culinary needs to create their own authentic Vermont cuisine right in their kitchen. Our philosophy focuses on retailing foods with clean ingredients. Guests can also purchase made-to-order gourmet sandwiches, wraps, and fresh salads from The Pantry deli. The menu features ingredients like 100% organic chicken, in-house brined local turkey, and fresh bread delivered daily from Mansfield Breadworks. The Pantry is the perfect spot to spark your culinary creativity and live like a local.